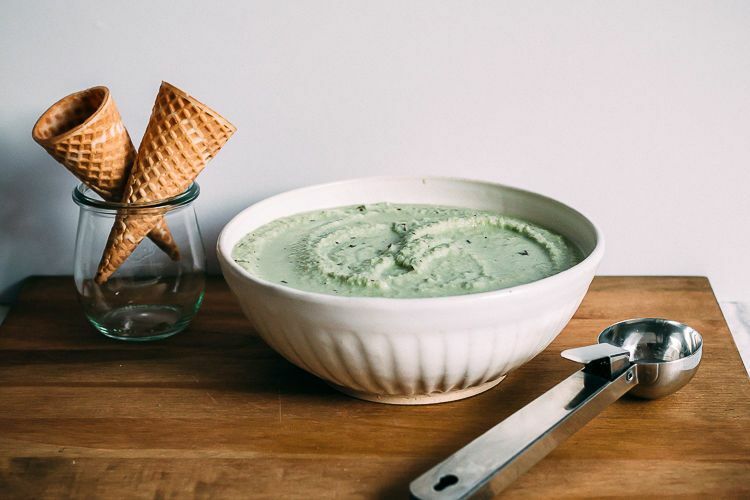 Today: Just in time for St. Patrick's Day, Jessie Snyder of Faring Well shares her pale green mint chip ice cream mixed with matcha. 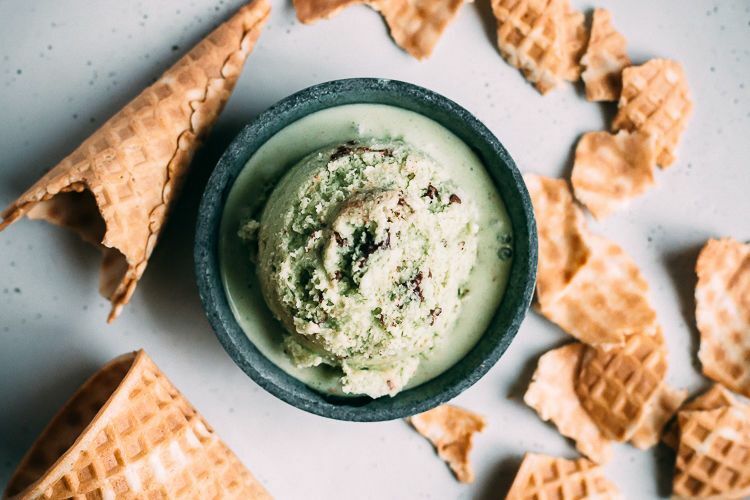 Mint chip ice cream has been a personal favorite since childhood: Trips to the ice cream shop for a double scoop of minty green goodness are happily ingrained in my memory. 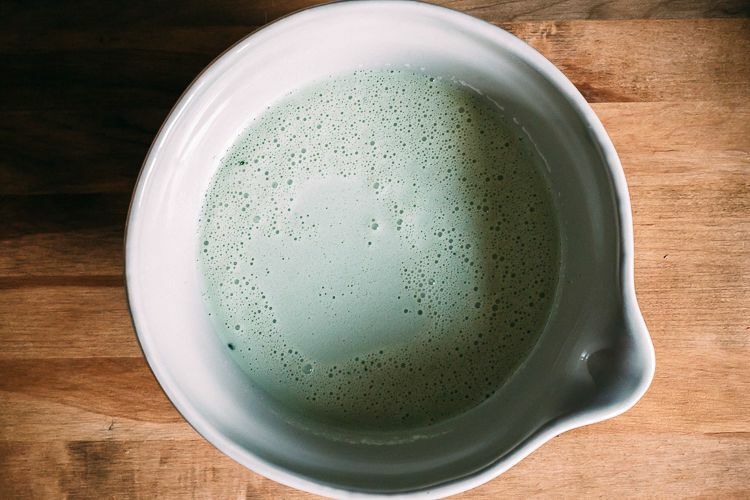 However, since I began making a homemade version of this favorite a few years ago, I struggled to find that gorgeous, pale green hue that so vividly marks "mint" in my mind. That is, until I discovered matcha. 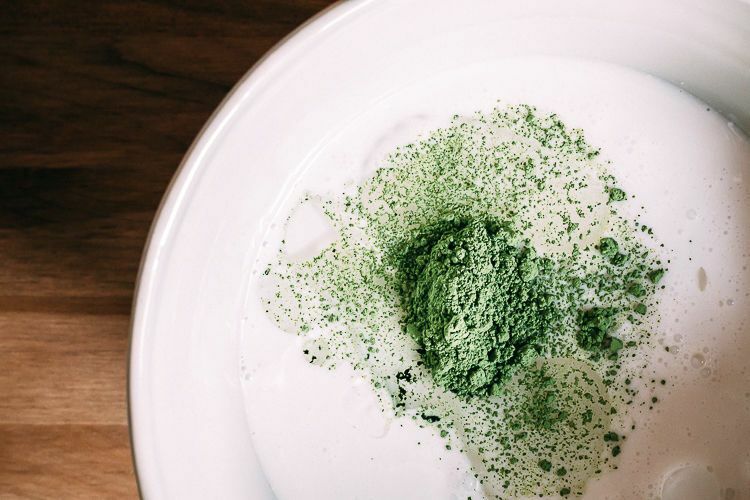 Not only a natural food coloring, but a nutrient powerhouse as well, matcha takes "minty fresh" to a whole new level in this recipe. Having used a combination of different nut milks in homemade ice creams over the years, I have yet to settle on an overall favorite. 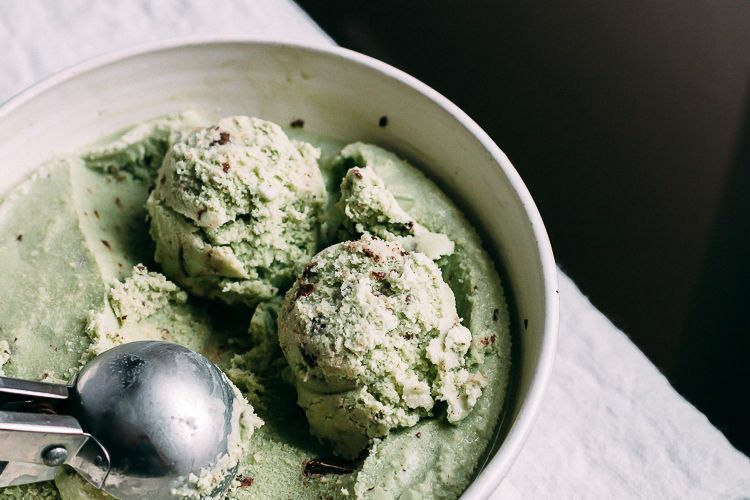 However, I found that light coconut milk contains enough fat to add a rich creaminess to ice cream without overpowering the freshness of the mint and matcha, as full-fat coconut milk does. More: Don't have an ice cream maker? 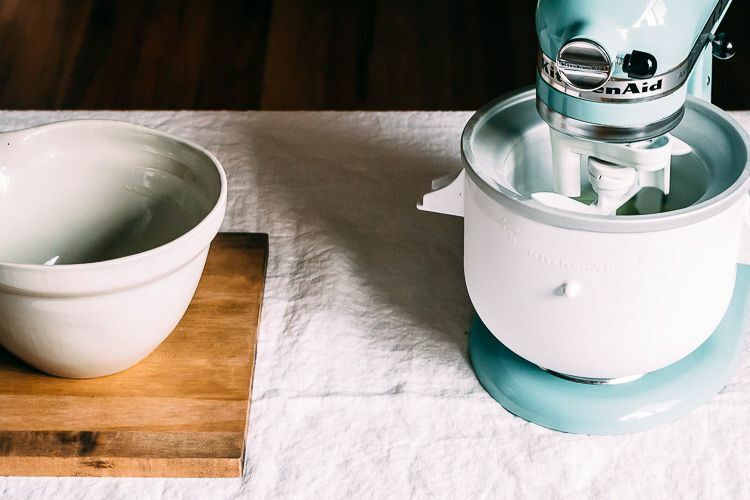 Make Nigella Lawson's one-step, no-churn ice cream. I sweeten the coconut milk with pure maple syrup, then simply blend and chill it before letting my ice cream maker do the heavy lifting. 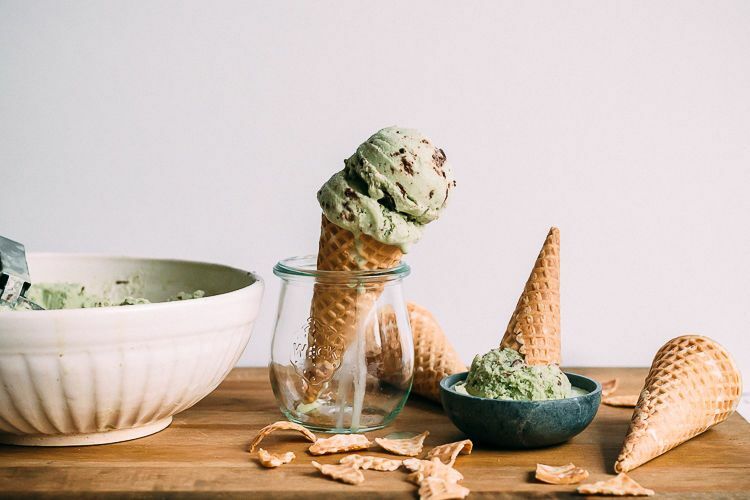 Scoop it on top of your favorite sugar cone and do a little happy dance -- you're having an ice cream cone at home! It sure brightens my night; I hope it brightens yours, too. Cover the mixing bowl with plastic wrap and chill the ice cream base in the refrigerator for about 2 hours. Chop your dark chocolate, and place it in a separate bowl in the freezer as well. Add the chilled batter to your ice cream maker and churn following the manufacturer's instructions. 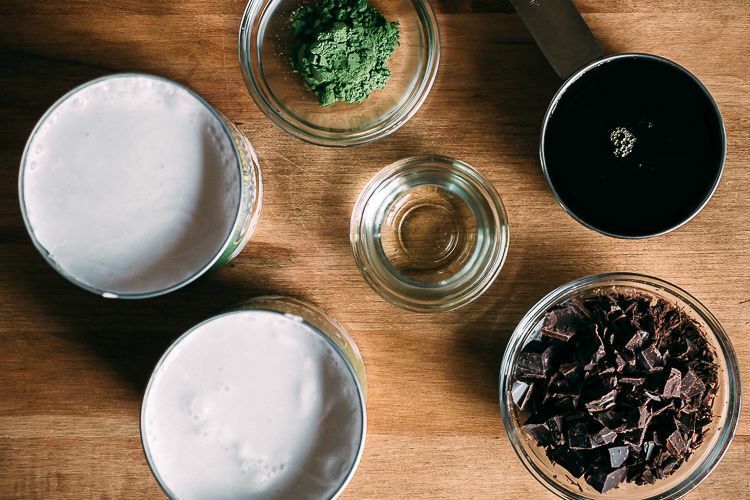 When the ice cream is about three quarters of the way done, add the chopped dark chocolate and allow it to finish processing. Eat right away as soft serve, or transfer to an airtight container and place in the freezer to set for at least 2 hours. Let it thaw at room temperature for 15 minutes before serving. See this recipe (and save and print it) here.